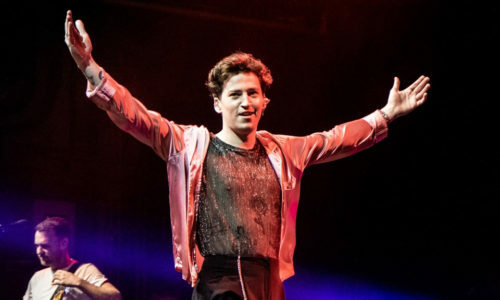 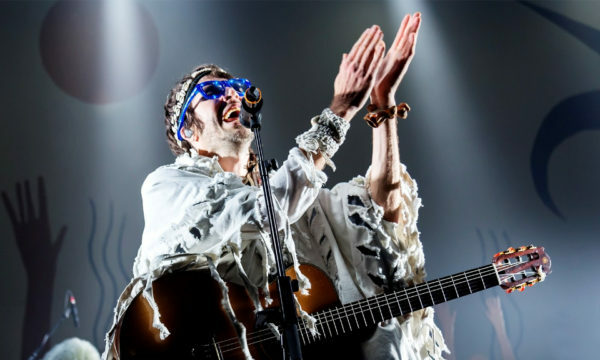 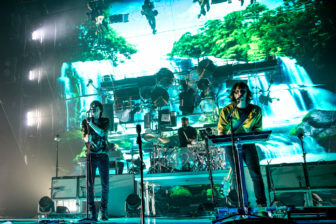 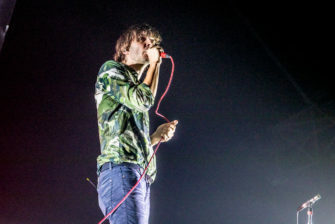 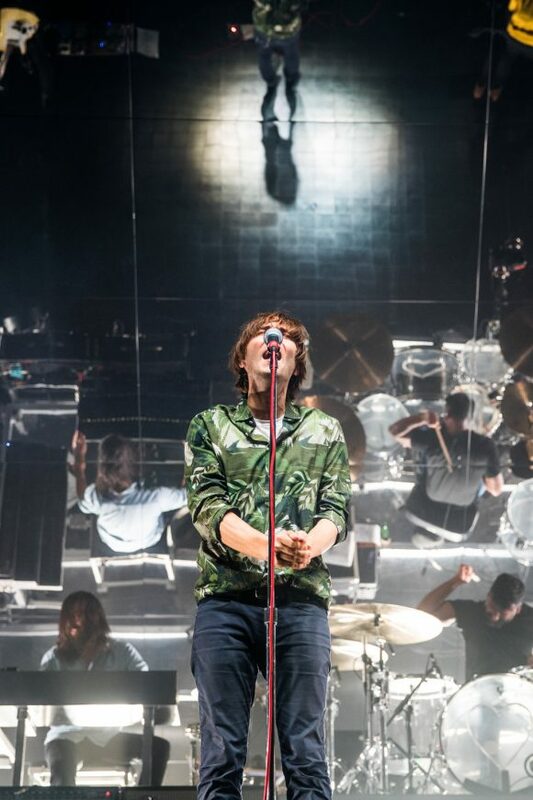 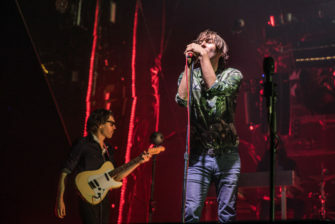 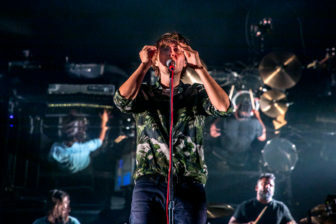 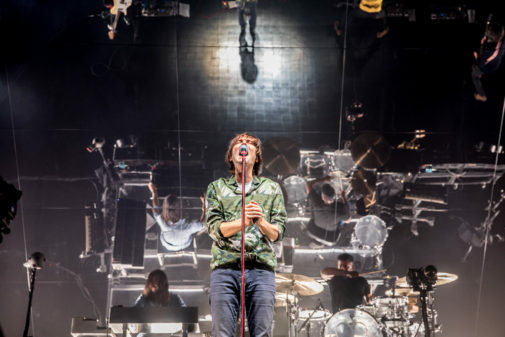 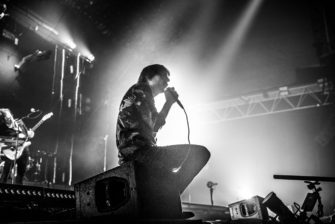 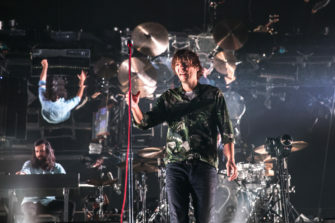 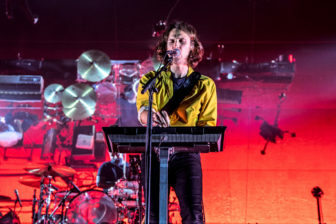 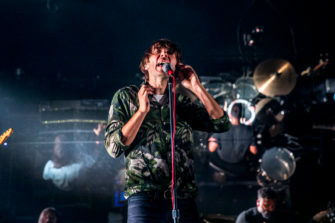 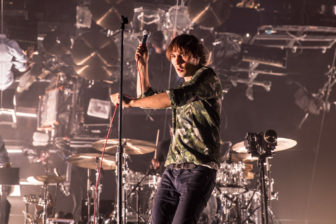 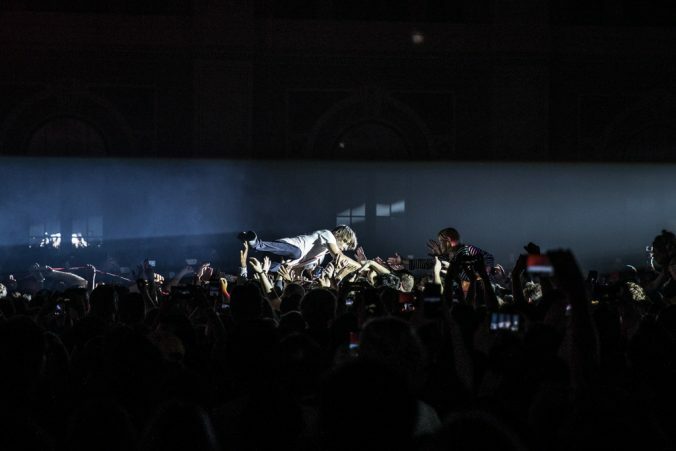 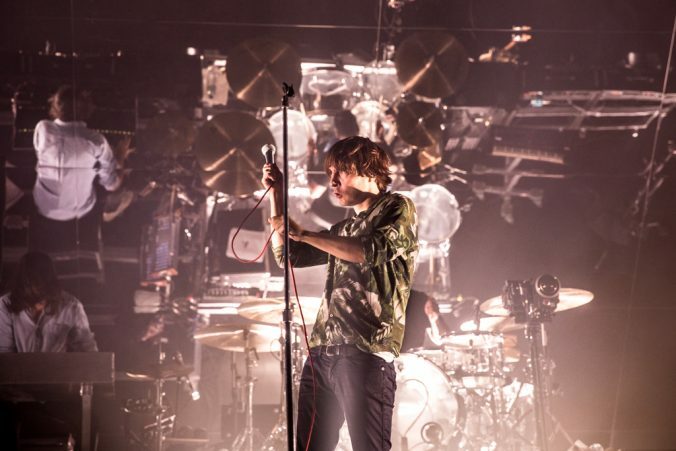 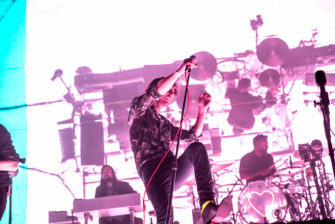 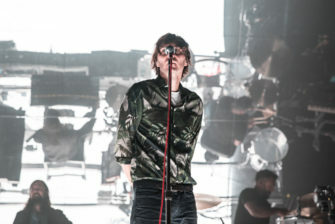 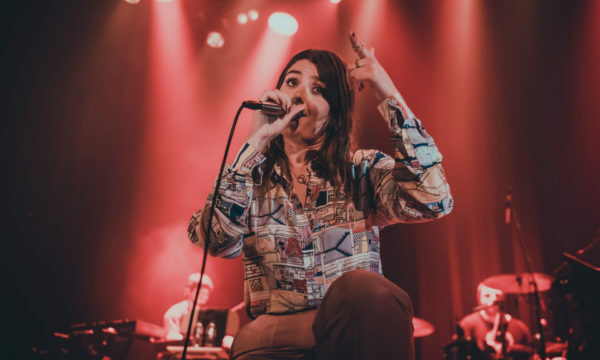 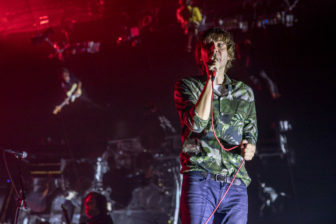 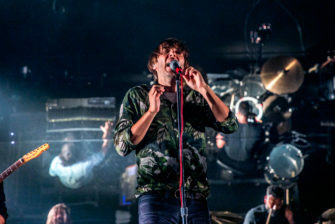 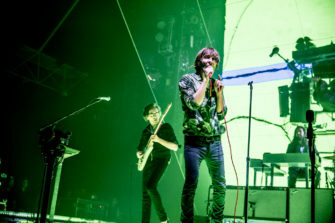 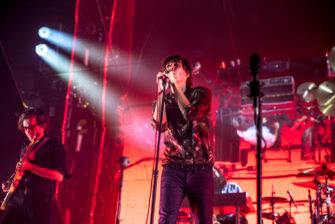 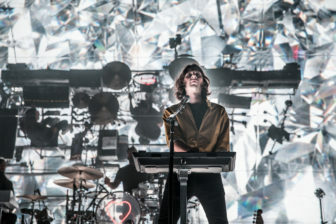 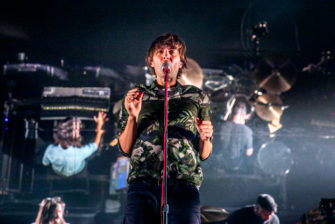 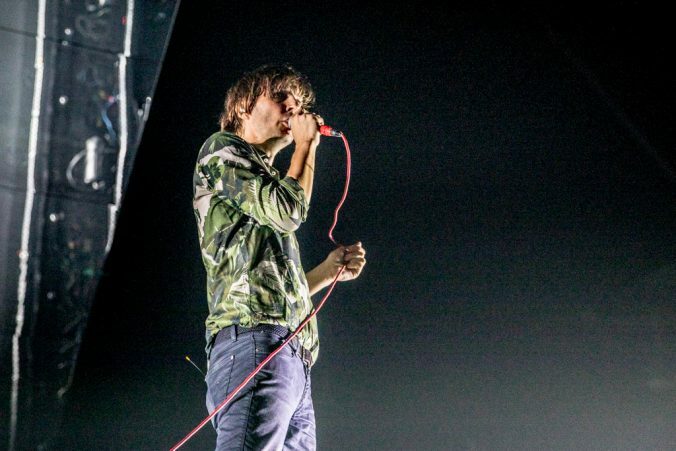 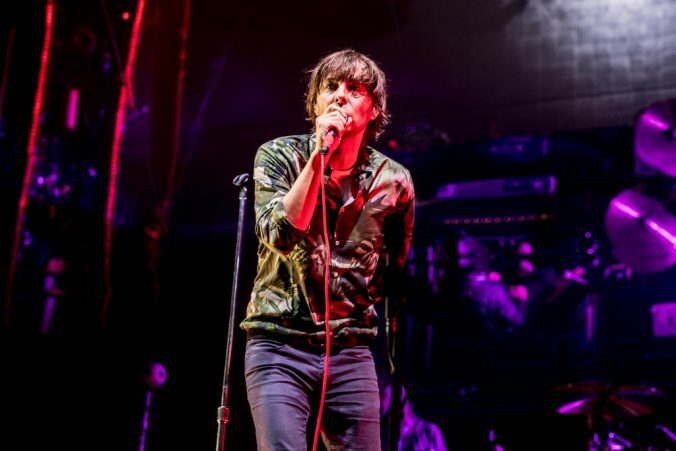 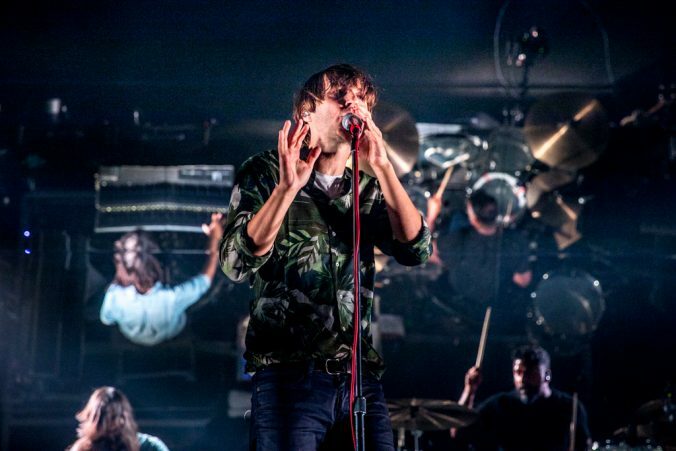 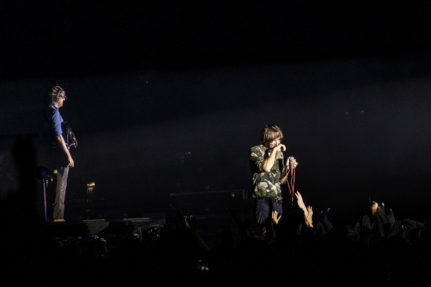 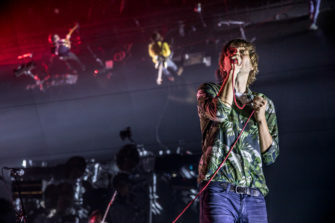 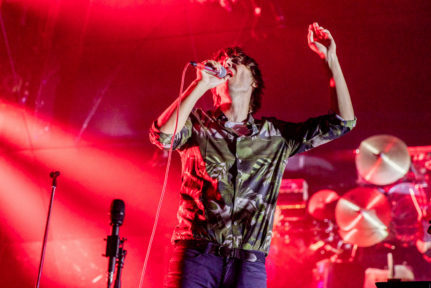 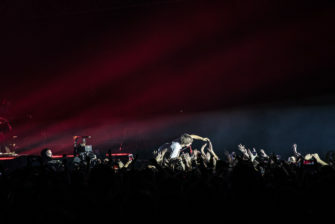 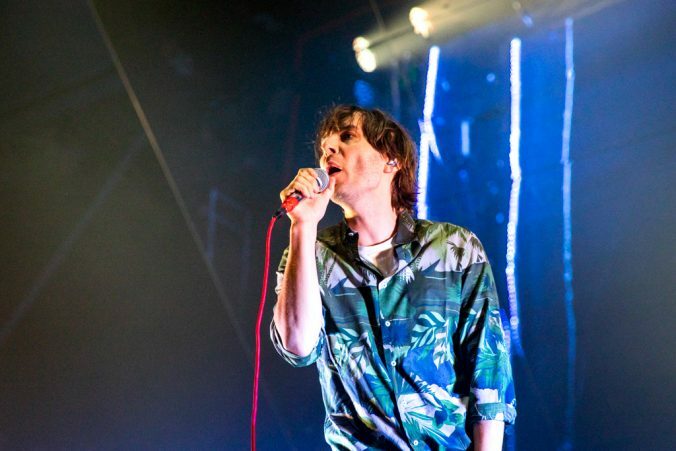 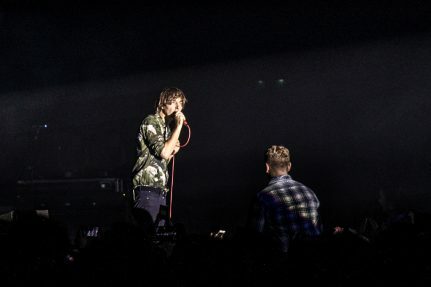 Promoting their latest album Ti Amo, French alt-rock band Phoenix finally returned to London last Saturday with their biggest concert to date at the iconic Alexandra Palace. 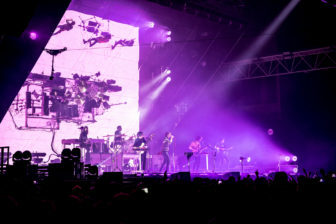 A huge mirror above the four-piece reflected all the images, videos and colours coming from the led screen they stood and played on. 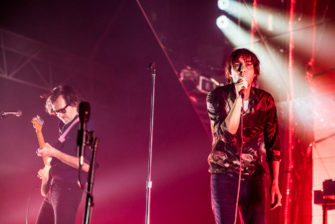 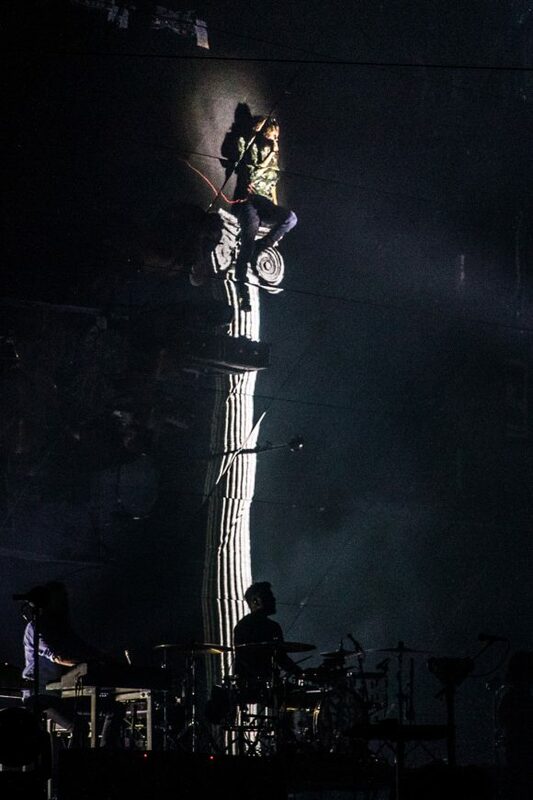 The set began with the album opener J-Boy, a track that perfectly summed up Phoenix’s style: 80s synthesisers, ironic vocals and soundscape, and amusing rhymes (“They hang me higher than a disco ball / But you talked them into letting me go / It’s no Picasso, Michelangelo”). 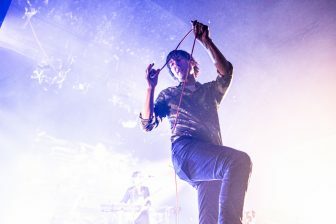 Lasso, from their Grammy Award-winning Wolfgang Amadeus Phoenix, followed, sending the Ally Pally floor into a rapturous, festive state. 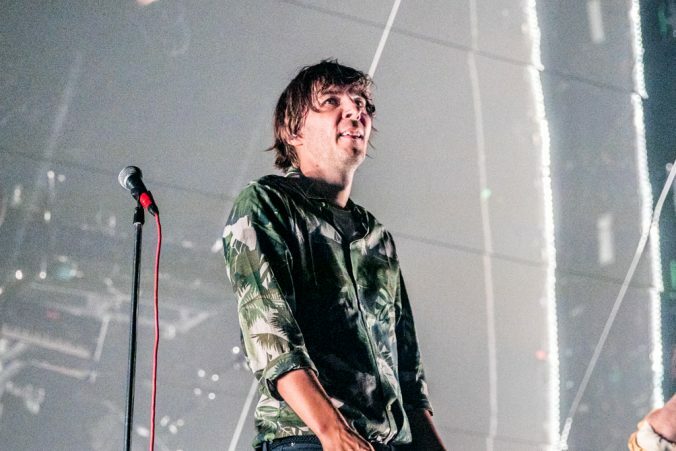 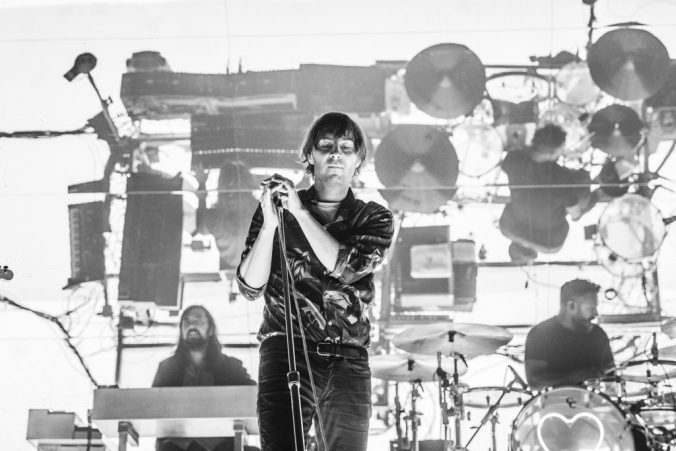 There’s something special about Thomas Mars’s band, a unique ability to write infectious, feel-good songs. 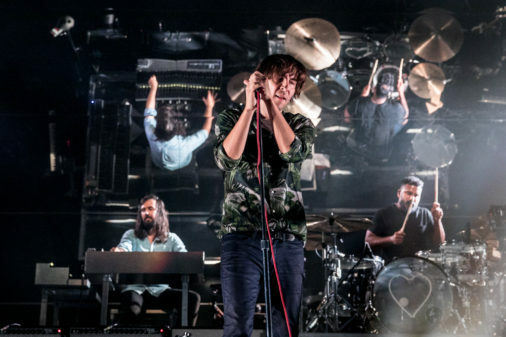 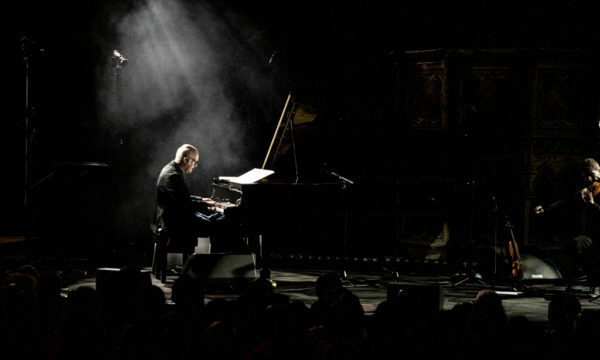 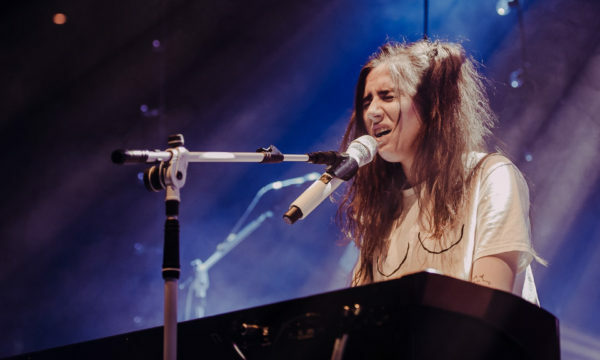 Ti Amo, their new album, is no exception; it’s their most jubilant work. 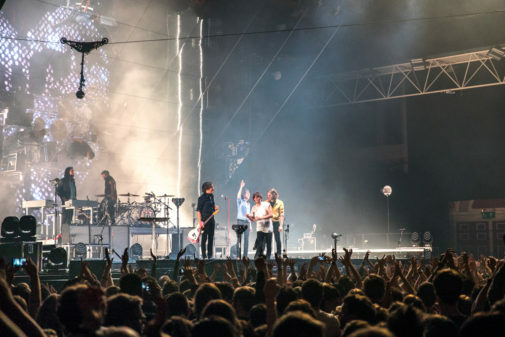 The recurring references to the Italian language (the title itself means “I love you”) and culture make it fun and also very relevant in a year that saw the European Union seeking a stronger integrity in the aftermath of Brexit. 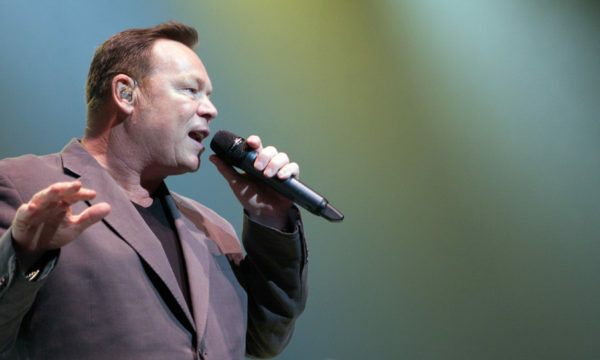 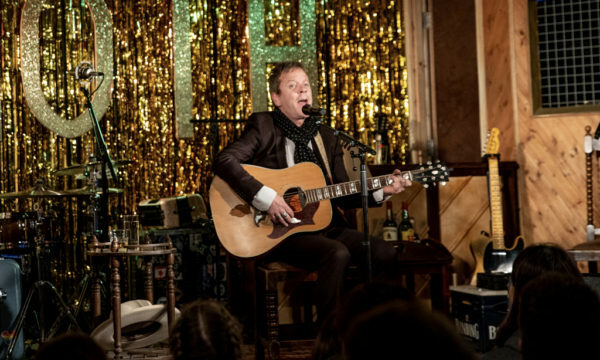 But make no mistake, there’s nothing political about this show and this album. 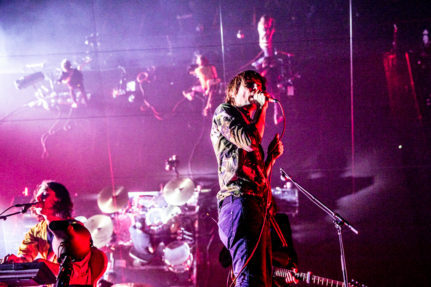 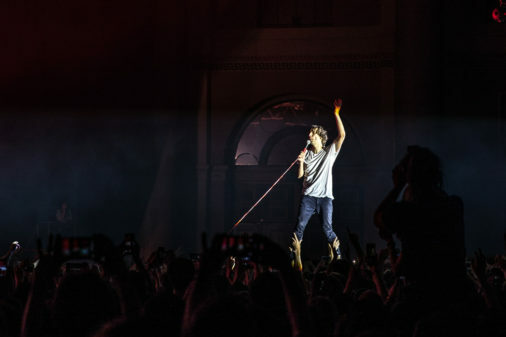 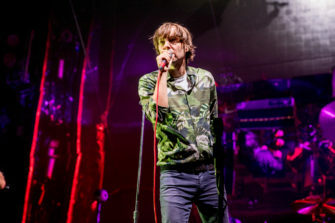 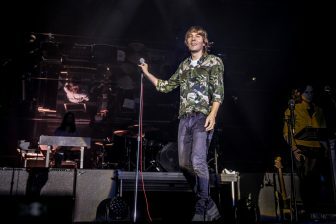 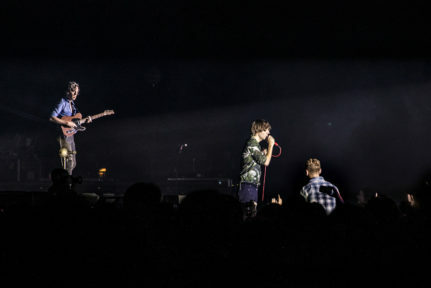 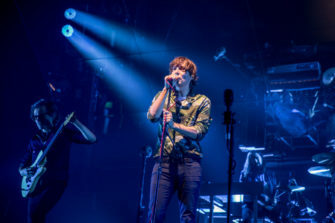 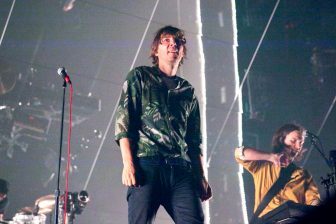 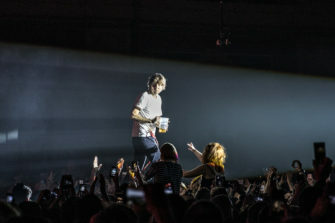 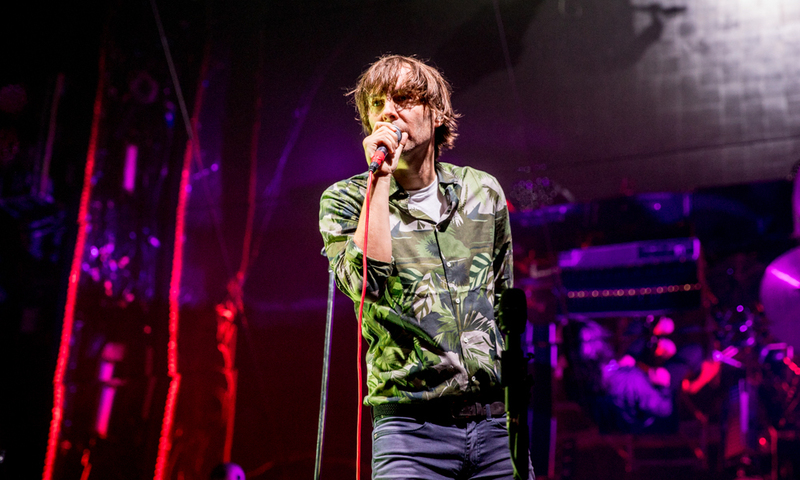 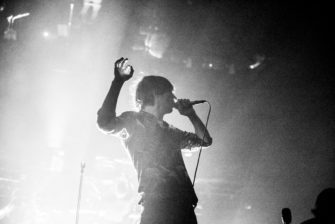 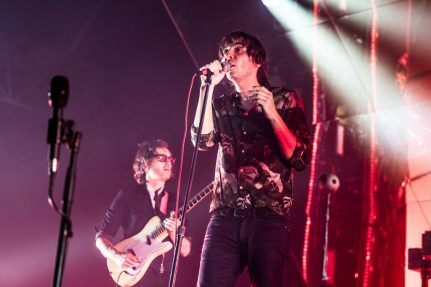 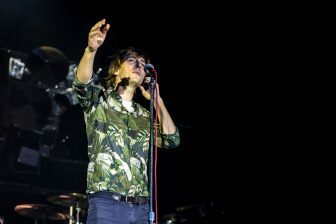 The fans’ frenzy never stopped, continuing as Phoenix played Entertainment, Lisztomania and Trying to Be Cool. 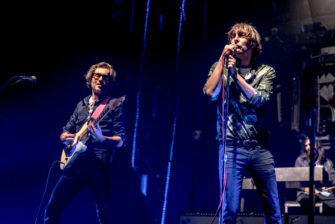 Although Too Young didn’t make it on the setlist, old (If I Ever Feel Better) and new (Tuttifrutti) classics ensured that the band’s trademark dance groove would still be represented. 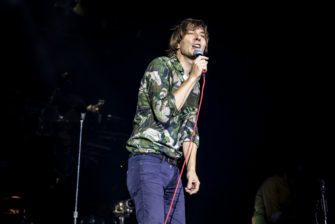 The highlights came halfway through the show: first the Love Like A Sunset/Bankrupt! 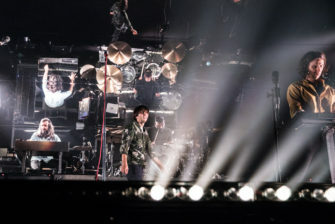 mashup Sunskrupt! 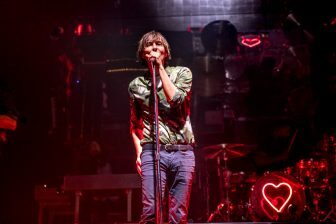 ; then the genius lead single Ti Amo; and finally the set closer Rome, the four-piece’s beautiful, intense midtempo ballad. 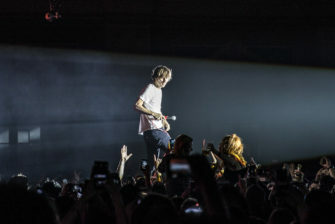 Phoenix came back for an encore, with Mars literally swimming (and later singing) into the crowd during the reprise of Ti Amo. 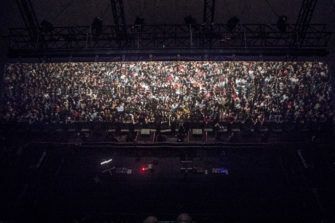 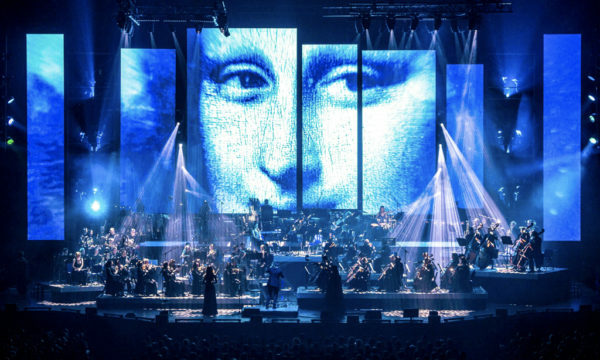 The concert saw a second peak with Telefono (musically exceptional), Fior di Latte and 1901 played back-to-back. 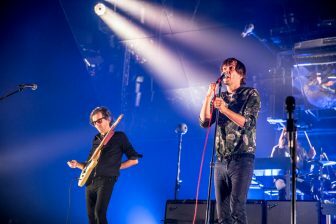 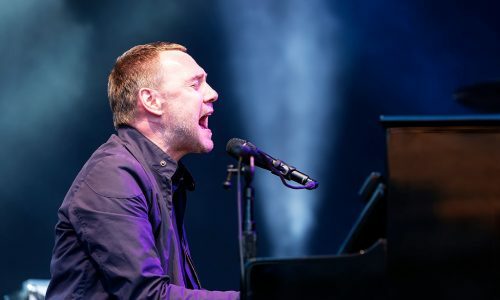 It was another extraordinary performance from the French alt-rock band and we all look forward to their next night in town. 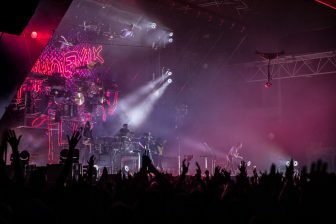 For further information and future events visit the Phoenix’s website here.